On March 20th the Food and Care Coalition hosted its 9th annual Bowls for Humanity Event in Provo. Not only is this the largest fundraiser hosted each year by the Food and Care Coalition, it is a chance for Utah County to come together and help our community. 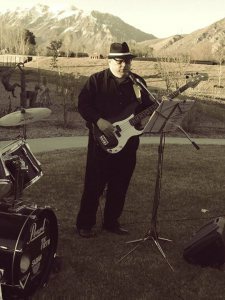 This year our CEO and founder, John Pilmer, got involved with the Coalition and provided entertainment at the event with his band, Bright Messy World. Pilmer said, “Working with the team for Bowls for Humanity is a joy. The Food and Care Coalition appreciates every hour donated to their cause and I’m happy to be a part of it. The crowd support for this year’s fundraiser was there early in large numbers and throughout the evening. I hope it raised awareness of our need to support community causes in our own back yard. Some other sponsors who helped with this year’s event are local companies such as Marvellous Catering who provided food along with Coalition chef, Ken Larsen. It warms the heart to see members of the community and local businesses coming together to raise money for those in need in the community. Coalition Executive Director, Brent Crane, says the whole fundraiser began as a grassroots movement when the coalition was approached by local artists who wanted to help contribute, and it has grown from there. 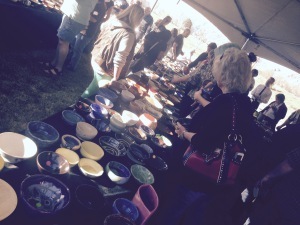 The event sells homemade pottery pieces that you can buy and fill with food at the event as well as a few silent auction art pieces. Local students and professional artists donate all of the artwork for sale. This year they sold over 2000 pieces and the proceeds will go to help the Coalition’s on-site transitional housing units that just opened up this year. In the inherent worth of the individual. That everyone has the capacity for self-improvement. That access to opportunity is critical to self-reliance. In the power of relationships. That love is the sweetest of motivators. That love is the sweetest of life’s learned gifts. In the power of volunteers. That both the giver and the receiver will be sanctified. In the gift of love. We’re proud to be part of a community that takes care of its own. Living and working in Utah is a privilege. To learn more about the Food and Care Coalition or donate to their cause, visit their website at https://www.foodandcare.org/. If you’re interested in being involved in next year’s event, please contact us.